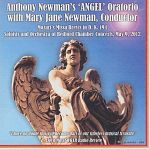 Composed for soloists, chorus, and orchestra by keyboard virtuoso Anthony Newman, the texts of the Angel Oratorio are taken from statements attributed to angels, not only in the Bible, but from many other sources of other religions. Described by Wynton Marsalis as The High Priest of Bach, and by Time Magazine as The High Priest of the Harpsichord, Newman continues his 50 year career as America's leading organist, harpsichordist and Bach specialist. The American conductor and organist, Mary Jane Newman (born: Flageler), became assistant conductor to her mentor, Nadia Boulanger’s Monteverdi Ensemble in Paris. At 17, while a student at the Conservatoire National in Paris, she was conductor / organist at the renowned English Church in Paris. Mary Jane Newman made her New York debut in 1986 in Lincoln Center's "Great Performers" series at Alice Tully Hall. She has also been soloist with the Cracow Chamber Orchestra, the Israel Philharmonic Orchestra, the Virginia Symphony, as well as conductor of Musica Antiqua and BachWorks, New York, Voci Angeli, and Parthenia XII. In recent seasons, Mary Jane Newman also appeared as conductor and soloist with the Brandenburg Collegium, and the European Mozart Academy Orchestra in Prague and Cracow. She conducted the Giovanni Battista Pergolesi’s Stabat Mater at the prestigious Mozart Festival in Prague. She has also served as artistic adviser on important revivals of early Mozart operas in Venice and Cracow, and is music director of the "Candlelight Concert Series" in Mount Kisco, New York. In 2000, Mary Jane Newman became the founding co-principal and recording producer of the Khaeon label. Its CD releases are internationally distributed and have gotten critical acclaim by the New York Times, Village Voice, The Washington Post, Billboard, Down Beat, Jazz Times, Latin Beat, and many other publications. Mary Jane Newman married the renowned harpsichordist, organist, composer and fortepianist, Anthony Newman, on September 10, 1968. They have three sons. Bedford Chamber Concerts (BCC) has been presenting high quality, Chamber offerings to enthusiastic and appreciative audiences since its inaugural 2000/2001 Season. Its initial three concert schedule has grown to six annual concerts plus a lecture/performance series. 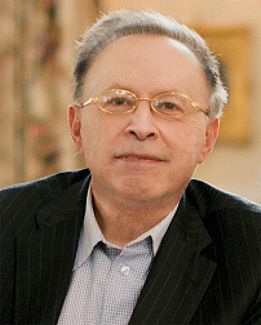 composer Anthony Newman who serves as Music Director for the BCC as well as for St. Matthews and Bach Works in New York City. Originally performing for music lovers from St. Matthew's community, the BCC audience has expanded throughout Westchester and into Connecticut. The 'Angel' Oratorio was written over 10 months in 1996, using texts from the Jewish Bible, the New Testament, and the Book of Enoch. Conceived in three parts, the dramatic structure deals with statements from and about angels, including angels of light, fallen angels, and angels used as messengers (original meaning of the word in Greek). Also included are poems of John Milton, William Shakespeare and William Blake. The work was first performed on April 26, 1998 with Mary Jane Newman conducting. The oratorio is dedicated to the memory of Mother Teresa of Calcutta, certainly the greatest 'angel' of our time.